Netflix faced questions about the shifting media landscape during its earnings release, held a week after WarnerMedia announced plans to launch a competing service in a move that follows in the digital footsteps of The Walt Disney Co. One issue, in particular, loomed large for Wall Street: What will Netflix do to fill the hole in its content library, once Disney and WarnerMedia claw back their movies and television shows for their own on-demand services? 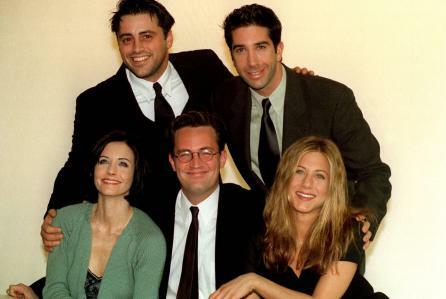 The loss of Friends is, in streaming services as in life, would be a blow. The Warner Bros. Television show first aired in 1994 and ran for 10 seasons on NBC. The show’s appeal is undiminished, all these years later. The measurement firm Parrot Analytics said it’s the third most popular sitcom in the U.S., behind Brooklyn Nine-Nine (#1) and Big Bang Theory (#2). The same is true in the UK, where Ross, Rachel, Monica, Joey, Chandler and Phoebe are as popular as always. The sitcom beat more contemporary shows to top the list of the UK’s most popular shows on streaming services, according to an Ofcom Media Nations report. It illustrates the challenge confronting Netflix, as it searches for replacements for iconic entertainment brands. UBS analyst Eric Sheridan, who conducted Netflix’s third quarter investor interview, asked Chief Content Officer Ted Sarandos about the evolving market for acquiring content. Sheridan asked how Netflix planned to replace the movies and TV shows, once studio partners begin pulling content off the platform. Disney said it plans to incorporate Disney, Marvel and Star Wars titles in its family-friendly streaming service, scheduled to launch this fall. WarnerMedia plans to debut its service, anchored by its vast repository of film, television and animated content, by the end of the year. Sarandos talked about the company’s well-known, multi-billion-dollar investment in original content, saying, “Some of our biggest brands, like Stranger Things, are owned and produced in-house, but we are still licensing a lot of content.” He said Netflix is having success producing in new types of content, such as unscripted programming. Sarandos also sees potential opportunity partnering with public broadcasters like the BBC, noting that Netflix just announced it had secured the rights to Dracula, a three-part series from the creators of Sherlock, Steven Moffat and Mark Gatiss. Texas Democrats Caught Mailing Pre-Filled Voter Registrations To Non-Citizens with the citizen box marked "yes or no ?" A bug-loving 8-year-old in Canada who was teased at school for her unusual hobby ended up co-authoring a research paper after the scientific community took her under their wing. Antarctica mind blowing picture that will blow your mind on the spot. The top 10 secrets that no one knows about Barak Obama. The Most amazing pictures of Barak Obama. 20 Photos That Will Make You Look Twice… #16 Will Bug You For Hours.